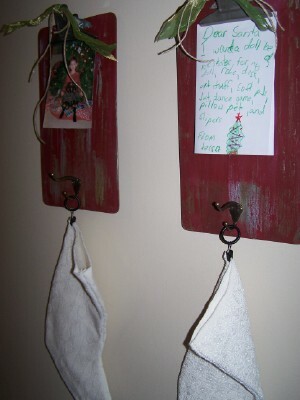 On the ninth day of Christmas Beyond The Picket Fence showed me...another idea to hang my stocking. 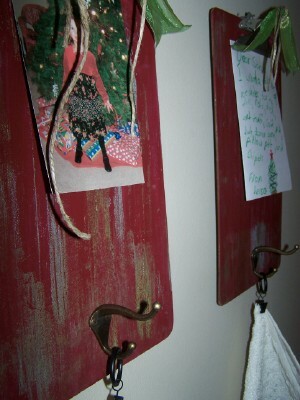 Clipboards--I love 'em and thought, "Hey, make one into a stocking holder." I painted them quickly, added a little ribbon and a hook (you will need a little piece of some scrap wood on the back to hold the hook). 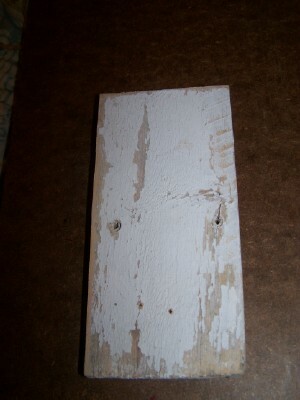 Now, what to clip to the board? How about a picture of whose stocking is hanging there? Or a favorite Christmas card? 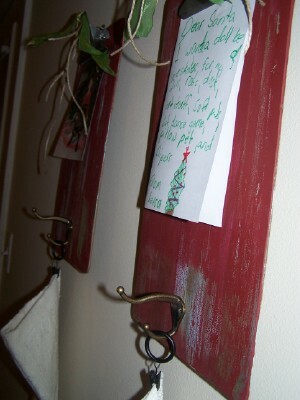 And what better place to leave your letter to Santa? After Christmas these would be great in the kitchen for a dish towel and favorite recipe, or in the mud room for reminders and coats. So clever! Great ideas all over your blog. so cute becky! great job, very creative. Oh my gosh!! That is genius!! I am SO going to steal that idea (I will give you credit). I already have a pile sitting around that I'd planned for something else. Very excited! This is fantastic! I've been trying to figure out how to do this without spending any money...now I don't have to! Thank You! !